One of those school dates you don’t want to forget. Now every parent will tell you that their children are beautiful. But, we all know that sometimes our gorgeous little people are a real scruffy mess: uncombed hair, snotty noses, toothpaste down their clothes, well loved (overworn) clothes that have seen better days, the list goes on. So, although we all endeavour to dress our children somewhat nicely and ensure they are well presented, lets face it, it doesn’t always go to plan. Mornings can be so crazy sometimes that you just reach into their wardrobe with that one ‘spare’ hand you have, as the other hand holds the baby/your cold cup of tea/dry piece of toast/onto the wriggling child/well you get the picture. Then you plonk the first outfit that comes to hand onto said wriggling child. So….. my beautiful eldest daughter who has the most amazing curly hair, usually turns up at Pre-school looking very neat and tidy. I usually wash, comb and plait her hair in the bath the night before so it looks lovely in the morning. I usually lay out a nice outfit for her to wear the night before, so I can just grab and go. I usually spend time carefully selecting some pretty hair clips and bobbles that will go with her outfit. This Monday I didn’t do any of those things. We had been out shopping and for dinner on Sunday so by the time we got home both girls were asleep in the car, so it was a very shortened bedtime: no bath, no hair washing etc. The baby is teething so I was up most of the night. In the morning I grabbed the first outfit that came to hand, scooped up her uncombed (I’m talking one step away from dreadlocks) hair into a scruffy (not by design) bun and shoved in some Peppa pig clips. It’s fine I thought, It’s Pre-school I thought, she comes out covered in paint anyway I thought. I get to the School gates and my friend starts talking about how she had put gel in her child’s hair this morning but it still wouldn’t lay straight, I’m thinking, what are you talking about. Then she drops the bombshell that leaves me mortified. Today is school photo day!!!!! I live half an hour walk away, there is no time to go home, there is no option to change her awful top, or do her hair, I just about have time to grab a baby wipe and ensure her face isn’t covered in toothpaste and weetabix. Then I say goodbye. Well, I now have a very uncomfortable wait until the photos come back. Maybe we won’t be giving them as christmas presents to the grandparents this year. Take my advice parents; DO NOT FORGET SCHOOL PHOTO DAY! This is my first ever blog post ,so I thought I would start with a little HELLO and some general information about me and why I am starting this blog. I am a mummy of two little girls (toddler and baby) and my husband frequently (and often as comeback in an argument!) likes to remind me that I have my dream job – a Stay At Home Mum. It is true, I can’t think of anything I would rather be doing than spending time with my girls and I am dreading the day when I have to go back to working a ‘proper job’. My eldest daughter recently started Pre-School and it was that milestone which first sparked the idea for this blog. To give some background to that, my daughter is never really left with anyone else, because we don’t have any family living near by and I am a SAHM. So a lot of people expected her to have a hard time starting Pre-School. But she took to it even better than I had expected, not a single tear was shed by either her or me! This and other things happening at the time with friends’ children led to me being asked a lot of questions like: “How did you prepare her for Pre-School?”, “How do you get her to behave well at the park?” and “How does she know all those letter sounds etc.”. I have created a YouTube channel where I am making videos specifically for children, teaching them everything a preschooler needs to know in a fun way; All children love it when their toys ‘come to life’ so follow the adventures of my toddlers’ toys as they go to Pre-School and learn all about colours, numbers, phonics and more. I am also making videos for parents, sharing tips and advice I have picked up along the way and activities I do with my children, all things toddler & baby! 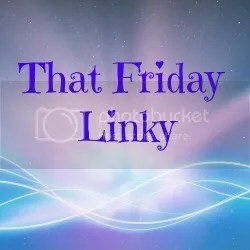 Please let me know what you think of my blog posts and videos, I would love to hear some feedback from some other mummys and daddys.